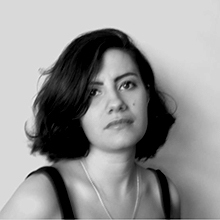 Ayelen is a Senior Designer based at Pattern's London office. Ayelen is an architect who graduated from her bachelors at the University of Buenos Aires, before completing a postgraduate programme at Torcuato Ditella University in Architecture & Technology. Whilst undertaking her postgraduate studies, Ayelen also served as a teaching assistant on the undergraduate course. Since university, she has been a member of an architecture collective called Off the Record. The collective experiments and researches matter and form by developing architectural constructions and installations. Since joining Pattern, Ayelen has worked on the Al Rayyan Stadium and Precinct in preparation for the 2022 FIFA World Cup in Qatar.